It’s funny to look back on the cutting edge of technology just a short while ago. 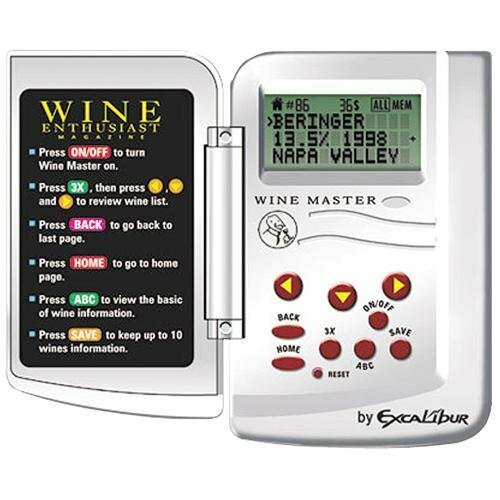 This WineMaster handheld wine information system from Excalibur Electronic was such a device. It fits in your purse or pocket! It has all sorts of wine ratings in it! You can store a whole **25** of your own ratings! Plus it has a full wine glossary, recommendations for wine-food pairings, information about learning more about wine, and more. All a full three little lines at a time. With each line holding maybe a word or two at the most. Sadly, with this being unable to be updated, once you have it for a few years the wine rating database becomes fairly obsolete. So that aspect of the device is less than useful. But, for a while, the rest of it was still great. It’s useful to have a wine glossary at your fingertips. To be able to quickly look up what kind of a wine goes with what food. Then along came smartphones. And the internet. Now if you’re in an internet-connected area you can just pop onto a website and look that information up. You get the latest reviews and information right there. And even if you don’t have any internet at all, if you have an app downloaded on your phone you can still get access to most of the basics. Still, if you are one of the holdouts who doesn’t have a smartphone, this is reasonably useful. The pairing information is lovely. The glossary and other details can come in handy. And this is quite inexpensive. So, sure, the wine ratings are a glimpse into a historical past. But the rest of it, for non-smart-phone people, is a quite cheap way of having access to a wealth of wine data. 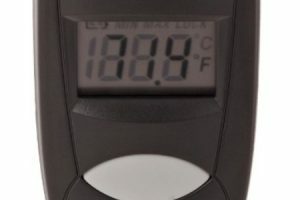 Here’s a video review I did of this device!